Hanoi (VNA) – National Assembly Chairwoman Nguyen Thi Kim Ngan has expressed her delight at the consensus reached on the upgrade of Vietnam-Netherlands ties to the comprehensive partnership level which, she said, will open up new cooperation opportunities for both sides. 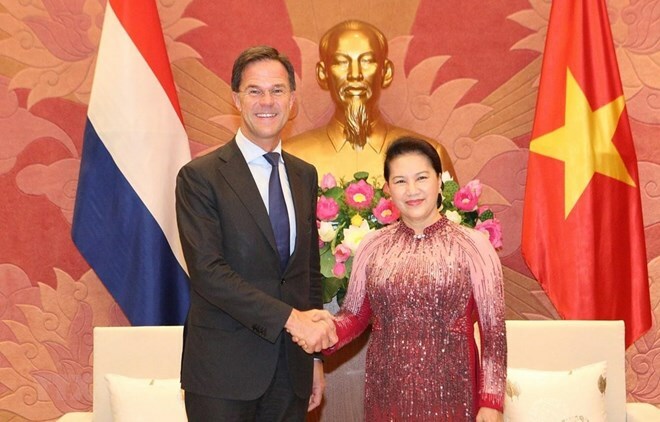 She thanked the Netherlands for supporting Vietnam’s run as non-permanent member of the United Nations Security Council for the 2020-2021 tenure. Vietnam and the Netherlands formed a strategic partnership on climate change adaptation and water management, while Vietnam’s exports to the European country rose seven-fold in only five years.